Mountain Bike - Extreme Sport Club Template 14926988 | Free eBooks Download - EBOOKEE! Posted on 2016-10-03, by manhneovn. 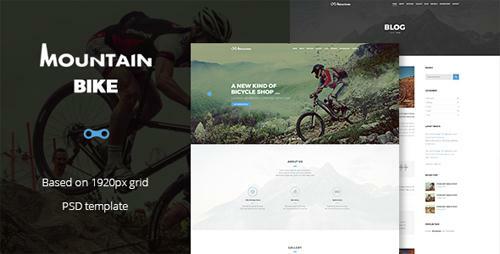 Mountain Bike is a powerful, modern and creative PSD template for extreme and sport clubs. The design is suitable for Bike, Hiking, Sports event, Sport competition or any kind of sports event sites. No comments for "Mountain Bike - Extreme Sport Club Template 14926988".